National STUDENT-Athlete Day (NSAD), observed annually on April 6, provides an opportunity to recognize the outstanding accomplishments of student-athletes. 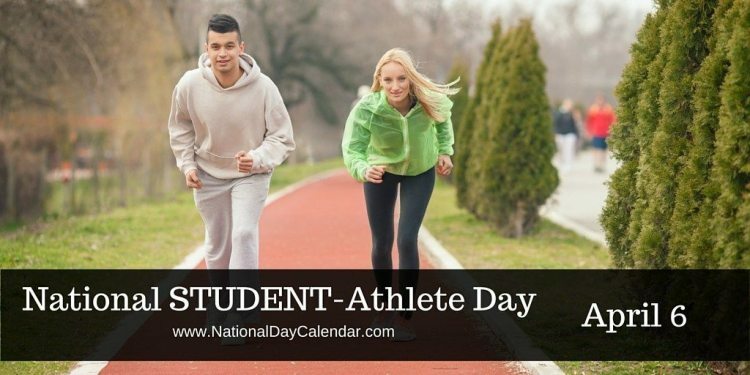 National STUDENT-Athlete Day was created by National Consortium for Academics and Sports (NCAS) to honor high school and college student-athletes who have excelled in academics and athletics and who have contributed to their communities and schools in a significant way. The program seeks to encourage families, schools and communities to support their STUDENT-athletes in their endeavors. Congratulations !! .... because we recognize that it isn't always easy to pursue both academics and athletics.